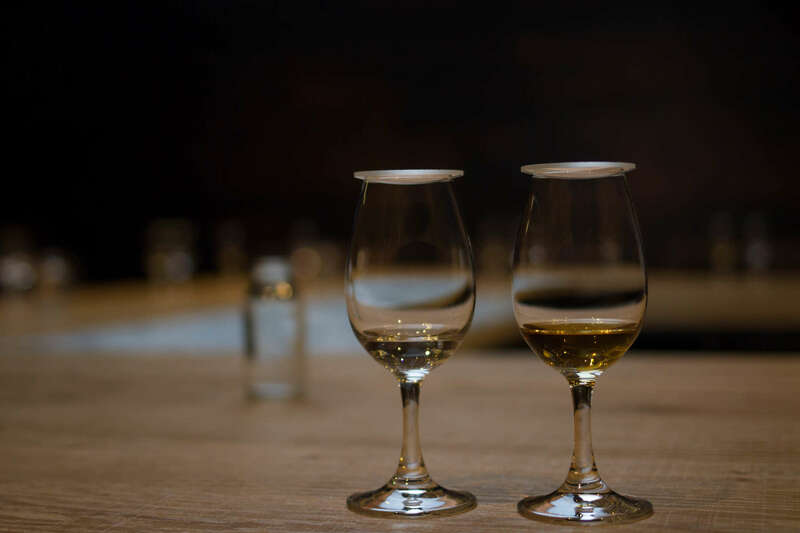 One of Scotland’s most famous products is whisky and there are many distilleries across the country that have been producing it and selling it world wide for many years. But toward the end of 2015 there was a new kid in town! Isle of Harris Distillers based in Tarbert on, well you can guess where! 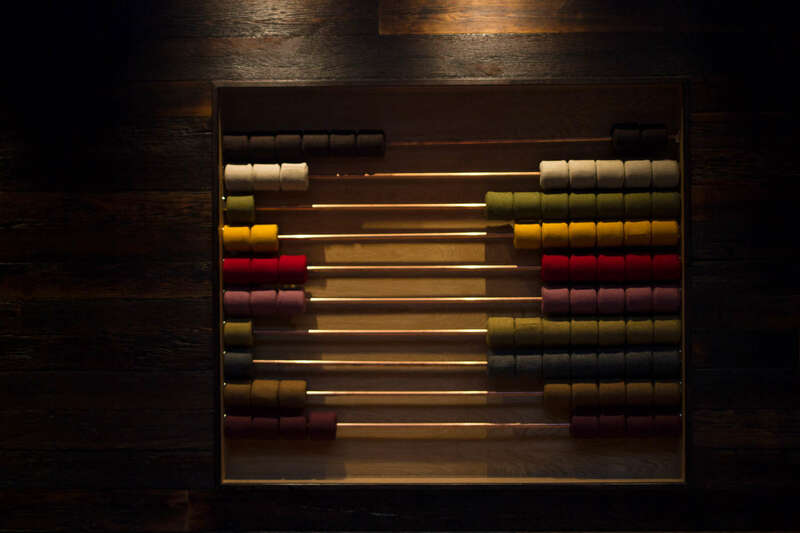 Marketing themselves as a Social Distillery isn’t just advertising it really is something that the community has been, and will continue to be a huge part of. They also have another trick up their sleeve’s. They are also making gin. Very good gin! 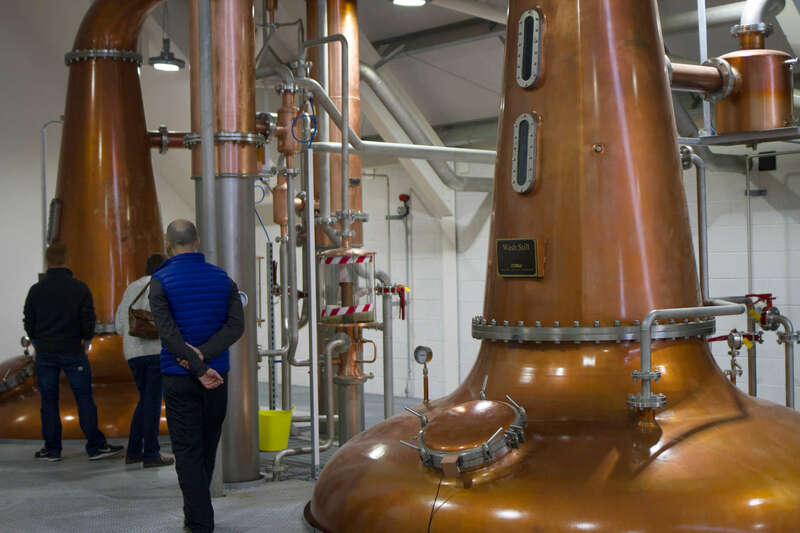 During our recent visit to Tigh Fionnlagh on the island we were lucky enough to be given the opportunity to have a Isle of Harris Distillers Tour. We had passed the building after getting off the ferry a few days earlier and it is really easy to find. If I am honest I wasn’t expecting to be part of a full tour of ten people in the middle of March but it is obviously popular. In fact it is so popular, people who had popped in on the off chance of having the tour, left disappointed. So my advice is – don’t risk just rocking up and expecting to have a look around. BOOK in advance. We were greeted by the friendly face of Sandra and she guided us into the Flavour room. Such atmosphere in this room and done with purpose. Everything in the room was connected with the island, it’s geology or whisky. Very clever. It is explained to us why each component was chosen. I won’t give too much away about what we are told in the Flavour room because I don’t want to spoil it for others. It is clear to see the passion and knowledge that comes from Sandra about the distillery, it’s product, Harris and the community. After the tasting we are taken upstairs to the gallery. Here there is a large table with ingredients and items that help with or are a part of the whisky distilling process. Each is explained to the group and we get to eat, smell and touch the items, making us more familiar with the product. 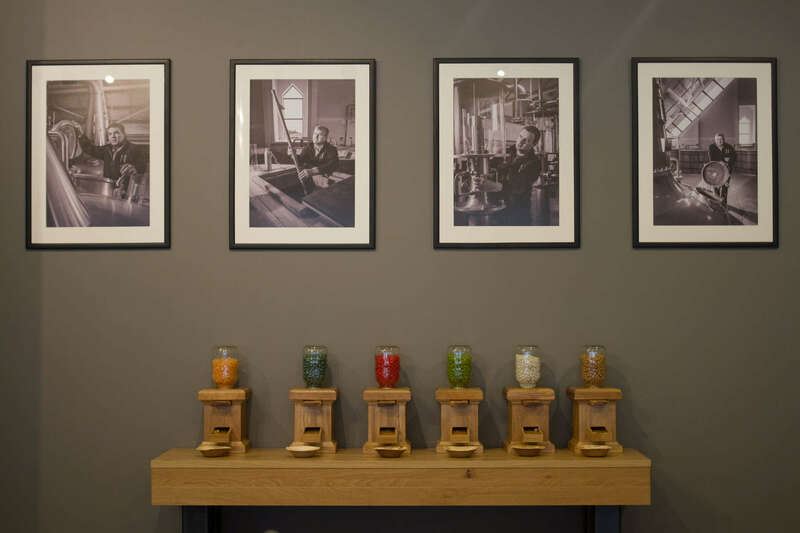 It is also in this gallery area that we smell and taste ingredients that make the Isle of Harris Gin. What I also like about this area was that the group were “introduced” to the distillers. The men that are crafting this new tipple from their Social Distillery. The group were also told if anyone wished to asked them any technical questions when we went into where the magic happens, then by all means do. As for the jelly beans in this picture – yes they are real. Yes we got to eat some and yes, so will you when you book a tour. 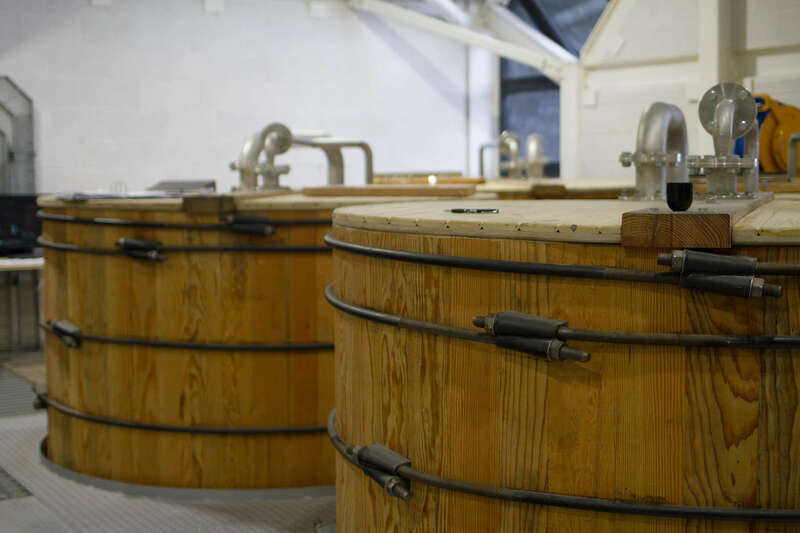 The stills are very much a thing of beauty, having traveled from Italy, they really are something special. The main point I wanted to convey in this post is the passion for the island, it’s community, landscape and the surrounding sea’s that are obvious throughout the tour. So much work has gone in to every little detail of this distillery. 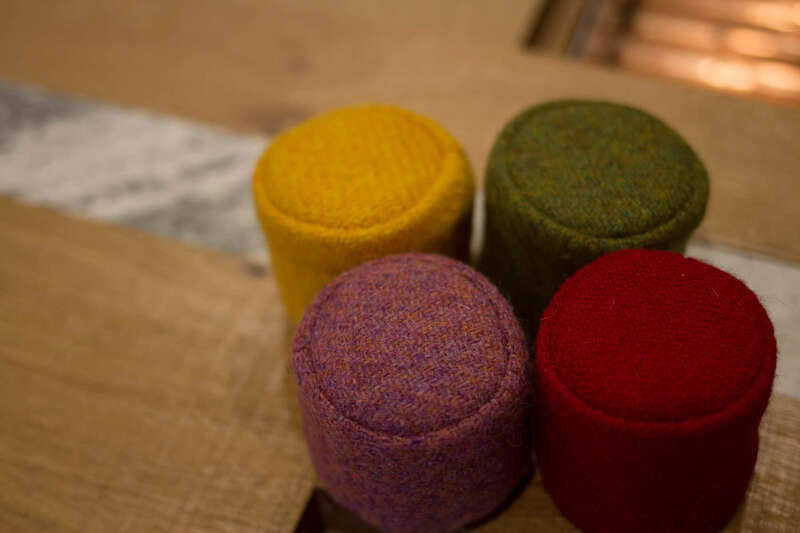 From the letter H found in the table legs, the colours used on the walls, the carefully chosen botanics that make the whisky and the gin, to the team of people who are working to make the products successful. It will be some time yet before the Hearach whisky is ready for sale but the gin on the other hand seems to have taken on a life of it’s own and is already on the shelves. 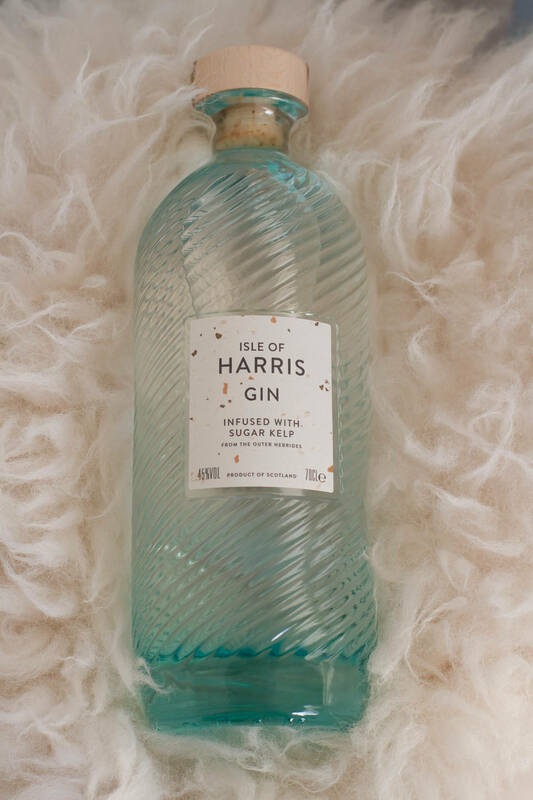 You can only buy these beautiful bottles of gin from the distillery directly or from their website, which I think is fantastic. They want to keep the connection with their customer’s and not get lost on the shelves of the big supermarkets. This really is a beautiful thing. I would like to thank Sandra and the Isle of Harris Distillers team for their kind hospitality, sincere welcome and for sharing the Social Distillery story, so far, with us. We did, obviously, buy a bottle of the gin to see exactly what all the fuss is about and it is a wonderful assault on the senses. The bottle itself is a work of art. It smells divine and the taste is refreshing with a twist of grapefruit (as recommended by the distillery). We shall definitely be returning for more gin and a holiday! Ooh it sounds amazing, even the bottle is beautiful! I love that there is gin as well as whisky, much more to my taste!